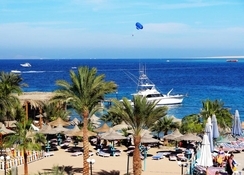 Boasting of its own marina, the Bella Vista Hurghada Hotel offers 270 luxurious rooms for you to enjoy. Rooms range from single bedroom to double and triple bedroom with every amenity you need for a comfortable stay. The hotel features a state of the art wellness and beauty centre offering great massages. There’s also a fully-equipped gym, which allows you to stay in shape even though you are on holiday! The hotel’s various sport facilities allow for the entire family to have fun in the sun. The restaurants in the hotel are simply exceptional. They serve Chinese, Italian and international cuisines. The bars play host to live entertainment every night, and serve a variety of beverages ranging from delicious cocktails to cold beers etc. 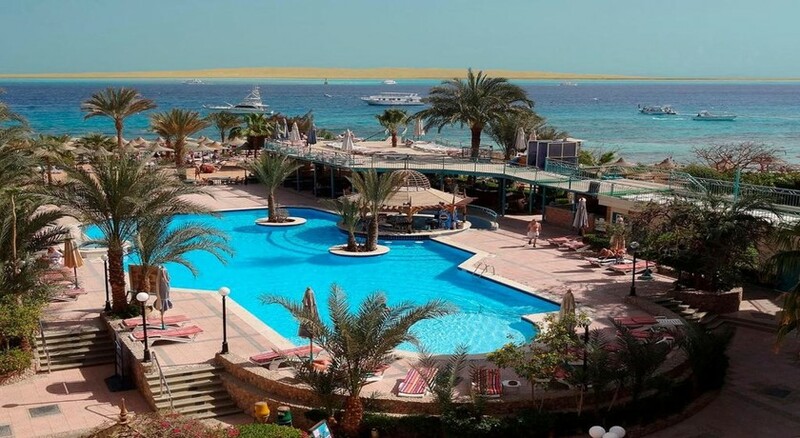 Situated on a beachfront, the fantastic location of Bella Vista Hurghada Hotel affords stunning views of the palm trees and the sea. You can reach the Bella Vista Hurghada Hotel from Hurghada International Airport in less than 10 minutes (8.5km). The beach is a brisk ten minutes’ walk from the hotel. There are also a few of Hurghada's finest restaurants close to the hotel. The hotel is not too far from several attractions and activities to suite all tastes, from water activities for all the family to great shopping experiences. 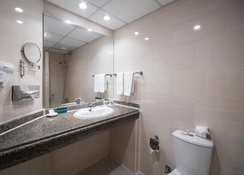 The 270 rooms in the hotel are available in three styles namely single room, double room and triple room. All rooms come with the necessary amenities that will make guests feel at home. Some of the common facilities available in the rooms include flat screen TV, air conditioner, double bed, working table & chair, etc. The hotel houses three restaurants that serve Italian, Chinese and international delicacies. Alcoholic and non-alcoholic beverages can be enjoyed with live music at the bars in the hotel. 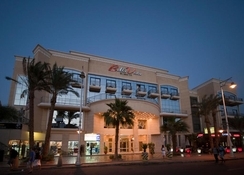 There are a host of entertainment experiences to be had both in and around Bella Vista Hurghada Hotel. On-site activities include table tennis (additional charge), billiards (additional charge), children's playground, kid’s club and games room. Other facilities around the resort include water sport facilities (on site) (additional charge), entertainment staff, snorkelling (additional charge), diving (additional charge) and darts. Bella Vista - Excellent Value - Very good Standards. 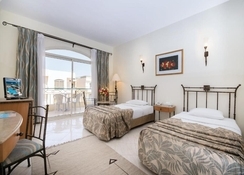 Accommodation of a very reasonable standard, 1 minutes walk to lovely beach area, Pool ( and surrounding area) clean and well maintained, food plentiful and varied with at least one ore two dishes that were very good ( all tastes catered for). Absolutely brilliant for the price we paid - would highly recommend for those with a budget to consider. Was there for a week from 09 April 2018. Although the holiday started with a confusion over our room booking, Yahia at reception soon sorted this out. He also changed our room immediately when we mentioned we would have preferred a balcony. All inclusive food was good, always something to try and fresh too. Pool was clean, as was the private beach area. Carribean Bar was also a nice touch in the evenings. Location is perfect, everything is in close proximity, so if you can't walk there, taxis were always super cheap. Wifi in reception is really good too!